Hi there! Well, we are finally getting settled in our new home! I can't tell you how great it feels to have a place that we can call our own. I am ready to start decorating. EEK! My favorite part! I am taking things slow, and doing one thing at a time. This is unlike me. I usually spend the first two weeks after we move and decorate the entire house. I don't want to rush into anything. 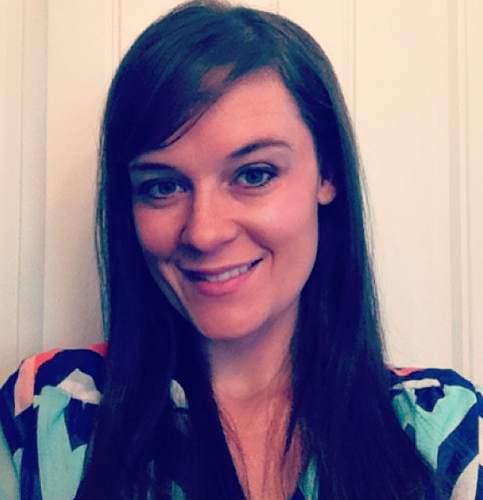 I want to take my sweet time, and get each room exactly how I envisioned. This is going to take time! And I need to learn patience, because this is so not my normal. When I want something done, I get it done quickly! This is different, I want to slowly and carefully make my house a home! My dad, who is pretty much one handy guy--built me this ladder. I am one lucky gal. 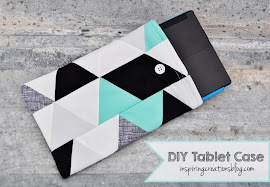 I have wanted something to be able to showcase my quilts, and this is the perfect solution! 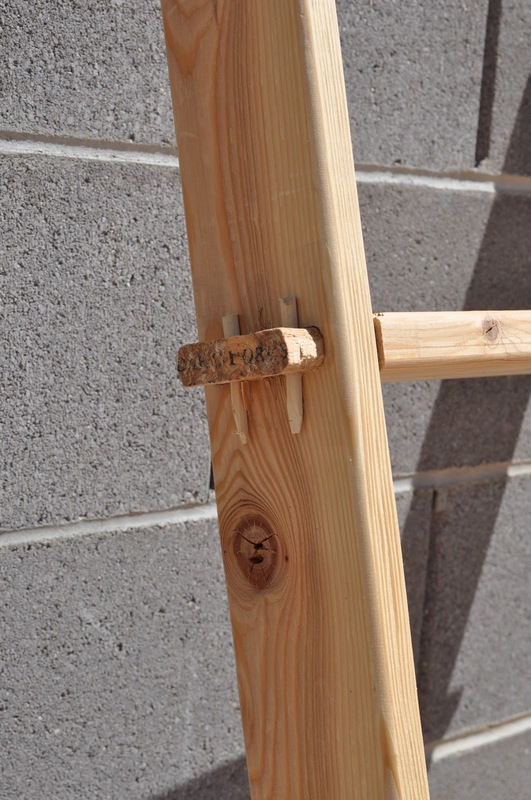 This ladder, was made the old fashioned way. There is not one screw or nail in this ladder. It is made with wood pins, and wood. That's it. It is a real treasure, and I will treat it as such! I love the fact that I can showcase my quilts and rotate them out so I can enjoy them more! Plus it sure makes a fun prop to photograph quilts. My dad gave me the ladder like this-comletely unfinished. I wanted it this way because I wasn't sure how I wanted to finish it. When he gave it to me, we hadn't bought the house yet. So I wanted to wait to paint/stain it until we were moved into our new home. 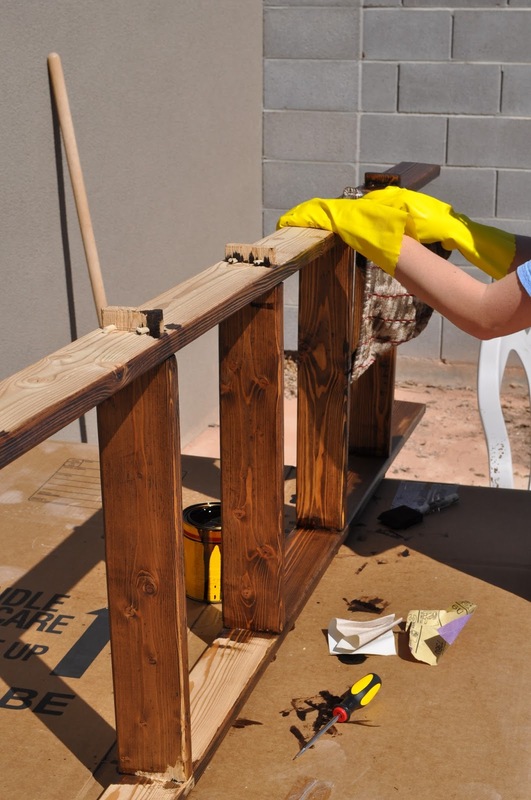 I stained the entire ladder with a walnut colored stain first. I only did one coat, because I was just using the stain as a base for when I painted it. I wanted the ladder to look old and used. I am going for a shabby chic look and this was the first step to achieve that look. After it was stained, I let it dry. I then painted it with a DRY brush with an egg shell colored paint. This gave it that old look, that I adore. This ladder is something I will treasure for a lifetime. It means so much that my dad made this ladder for me, and that I have something to pass along to my kids from their grandfather! 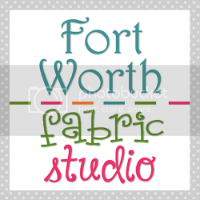 The winner to the Southern Fabric giveaway is: OhioLori. She has been notified by email. Thank you to all that entered! What a special treasure! And it showcases your beautiful quilts. Love the ladder. I've been searching farm auctions to find one. I think it is wonderful that he made it for you and that you then finished it ...and what a great display piece! 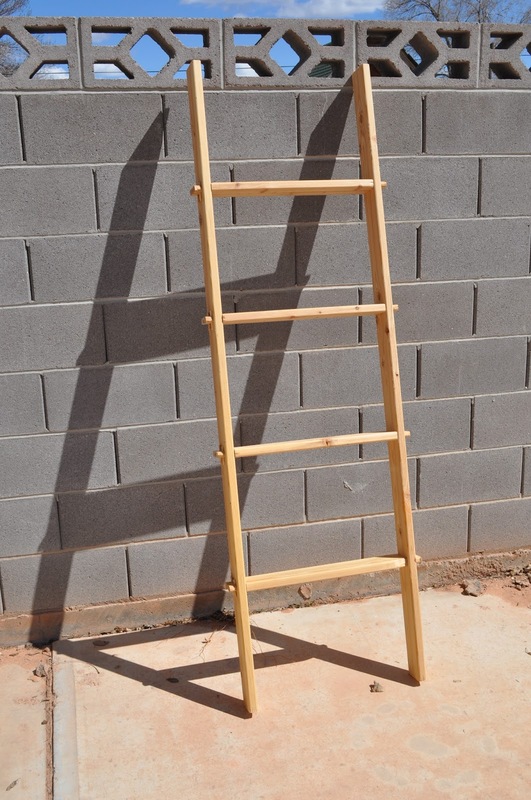 What a beautiful and well made ladder. They don't make them like that anymore. It's so much more special because you're Dad made it for you. I like how you painted it. Turned out great! I love that style! I will start looking for one for my living room...or sewing room...or bedroom...or anywhere else I want to show off my quilts! It's beautiful, you and your dad make a great team. My DH made me a ladder for my quilts a few years ago and I love it! That is so cool! I've been looking for what I want, and this one is definite inspiration. I love the ladder and I love that it has such a special meaning! Looking at those displayed beautiful quilts will always remind you of your dad! Wonderful! That ladder is amazing. I love the antique feel. I'm searching for one of my own. What a lovely ladder. Thanks for the basics of how you got it looking that way. I keep looking for a vintage ladder to display my quilts on, but it's nice to know that I can get the look myself if I want. 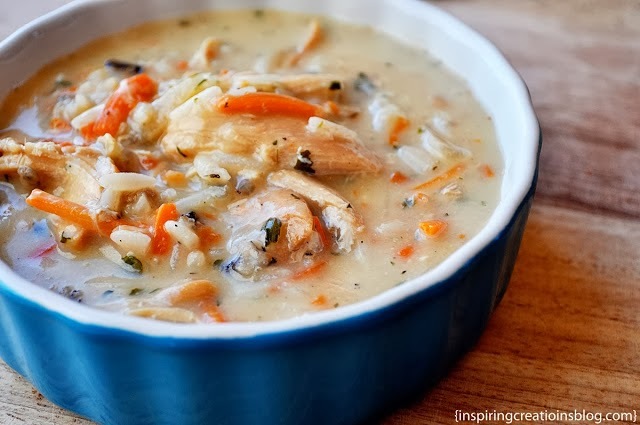 Hello - I popped over here after spotting a pin of your freezer meal ideas on Pinterest. That led me to this post - and I can't wait to show my hubby! I need him to make one for me. Great idea, thanks! This is a treasure. 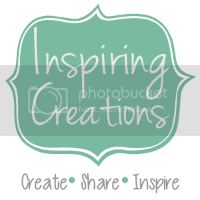 I love handmade things. 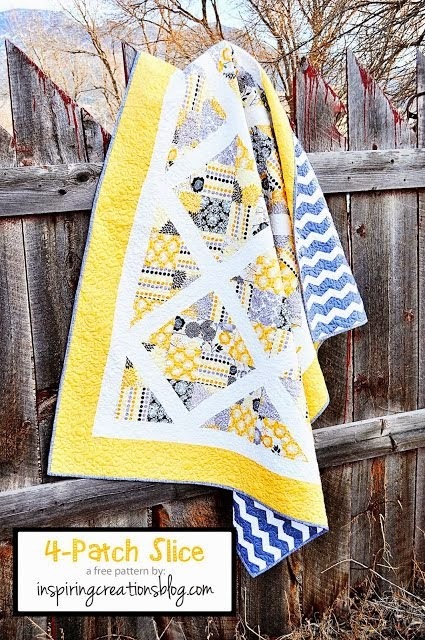 Quilts and ladders included. 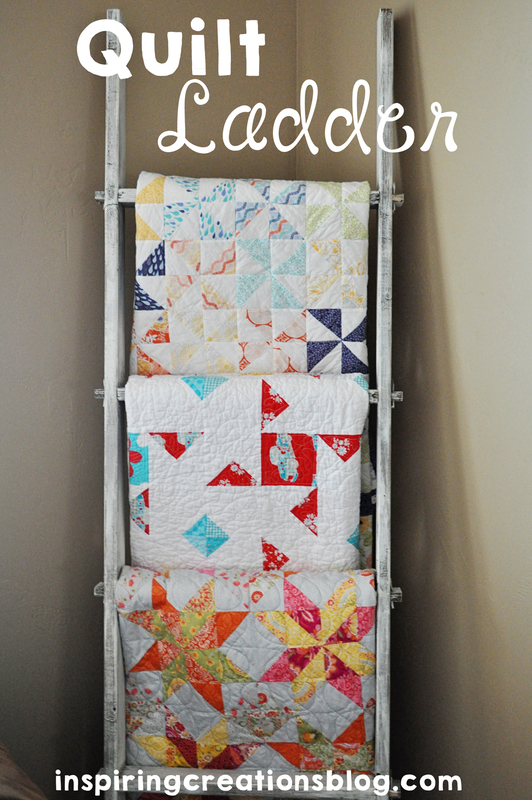 :) Do you put anything under your quilts to protect them when they are hanging on the ladder? Great ladder! How wonderful to display quilts you made on something your father made. Your finish job - love the look! What a well made ladder. 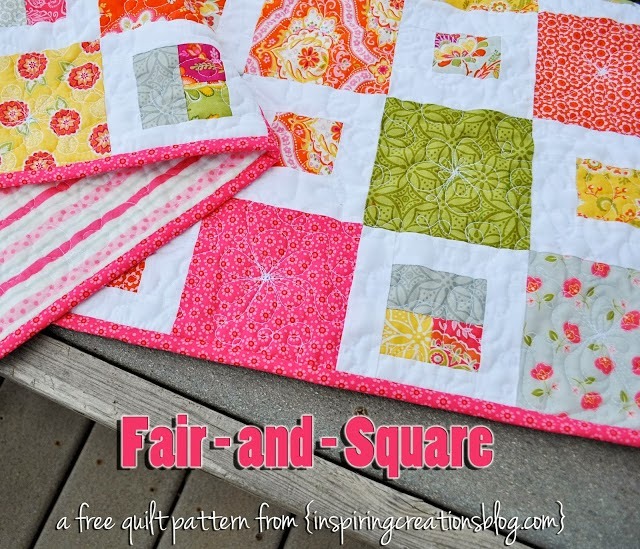 Sew perfect for displaying your pretty quilts! 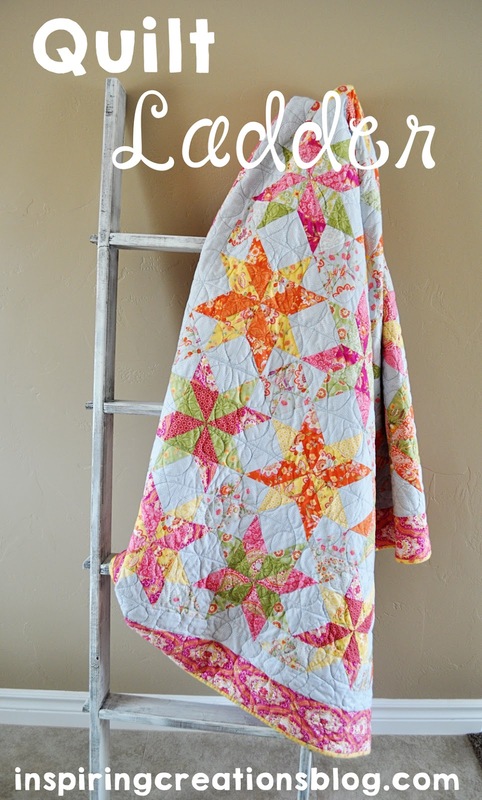 really lovely and a great way to display your quilts. Very eye catching! Your father did a super job constructing the ladder. It is gorgeous. It looks fantastic with your quilts hanging on it. Beautiful! I love the way you finished this too. Oh I love this! What a wonderful thing to always cherish. 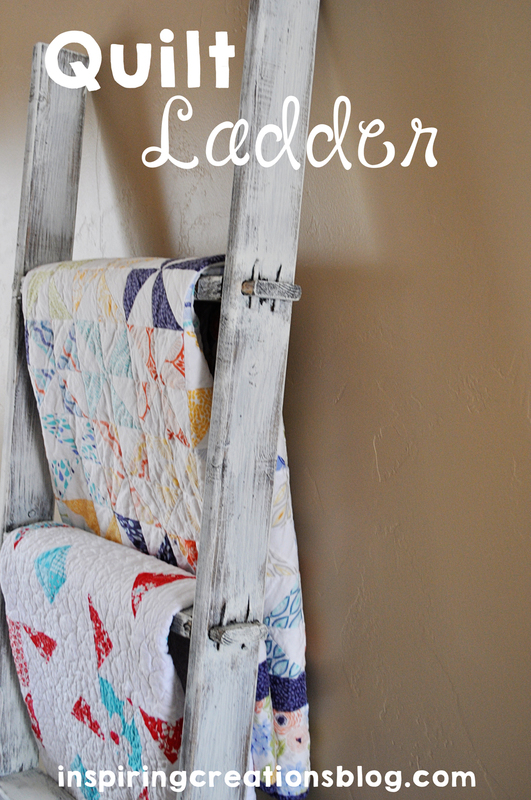 I have been wanting a quilt ladder too for photos. Yours is great!